I was telling a story to a friend the other day about my trip to Rhode Island and I realized half way through the telling, that this was my first entirely solo trip. Of course, I had been on planes by myself and done road trips home from college, but this trip I had planned entirely by myself. In the Fall of 1999, I moved to New York City to do an internship at Saks Fifth Avenue. Much of my free time was spent exploring New York City, but for my birthday, I wanted to do something different. 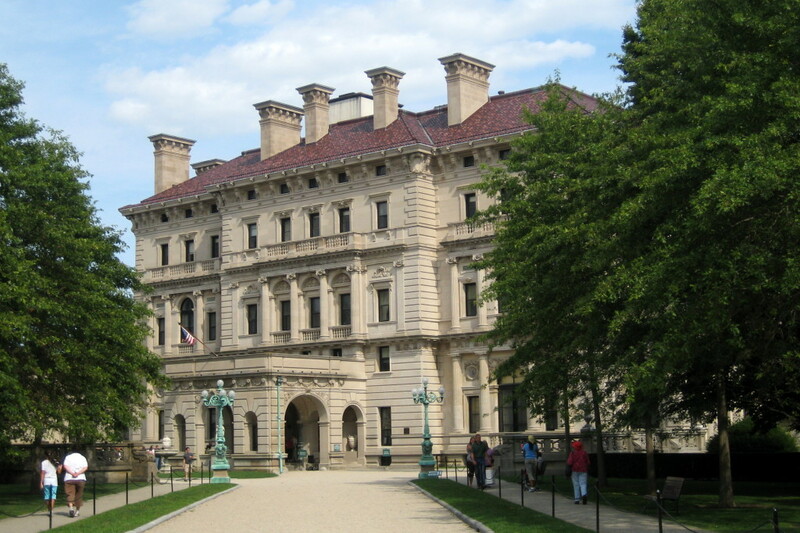 I looked at weekend trips from the city and discovered Newport, Rhode Island and the “summer homes” of New York’s rich. Of course, I am talking old rich. These are the homes of the Astor’s, the Vanderbilt’s and the like. Unfortunately, my fellow fashion friends didn’t want to go or could get time off work. I decided I wasn’t going to let that stop me and I went by myself. Not only did I go on my first solo trip, I also spent my birthday alone for the first time. I rented a car. This was an entirely new process to me as well. I had the internet, so I was able to book it online. I had decided that renting a hybrid was most cost efficient as it cost more up front, but fuel would be less. The only thing was I had never been in a hybrid at this point. When I picked up the Toyota Prius, I had no idea how to start it! It was one of the first push button cars. I had to get the rental company to show me how! The drive up to Rhode Island was great! It was late October and the leaves had changed. I also love to take long drives. I did this frequently in Texas as college was 6 hours away from my parents house. I also hadn’t driven since I moved to New York City in September and was glad to be in a car. When I was planning the trip, I knew I wanted to stay in a bed and breakfast not a hotel. My Mom has instilled a love of bed and breakfasts in me from a young age. Thanks Mom! I chose a historic home on the outskirts of Newport. It had lovely views of the water and I had a beautiful room with an attached bath. To be honest, I don’t remember if the food was good, it was too long ago. However, I do remember the owners being there and telling great stories about the house and rooms. I love historic homes and going to see massive historic homes was right up my alley. The mansions were stunning. Looking back, I they remind me of the house in Downton Abbey although more gilded. I saw as many as I could in the two days I was there. I had lovely weather and you could walk from mansion to mansion. Since it was my birthday, I wanted to go somewhere nice for dinner. This was my rookie mistake, although I still tend to make this mistake. I didn’t have a reservation anywhere and when I did get one it was for 9pm! I never eat this late, but this time I didn’t care. The waiter was surprised I was by myself and even more surprised when I told him it was my birthday. I had ordered dessert and knowing that I wouldn’t want the whole restaurant to know it was my birthday and I was alone, they didn’t come out and sing but wrote Happy Birthday in chocolate on the plate! While I didn’t give it much thought at the time, I did pretty good for my first solo trip. Not only did I pick a great place to visit and got there and back with no issues, I also learned I liked traveling by myself and that I could do it and that was probably the most important thing! Link to original photo – I usually like to use my own photos in posts, but all these photos are in print format back in Texas!